When retired actor Buffy decides to up sticks from London and move to rural Wales, he has no idea what he is letting himself in for. 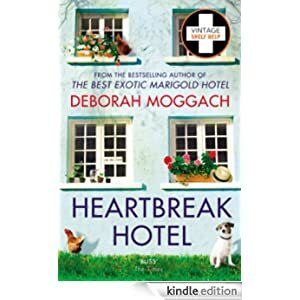 In possession of a run-down B&B that leans more towards the shabby than the chic and is miles from nowhere, he realises he needs to fill the beds – and fast. Enter a motley collection of guests: Harold, whose wife has run off with a younger woman; Amy, who’s been unexpectedly dumped by her (not-so) weedy boyfriend and Andy, the hypochondriac postman whose girlfriend is much too much for him to handle. Buy this hilarious and romantic comedy for only 99p today. Audiobook: £3.99.